We are in the season of Advent – the preparation to welcome the Infant Jesus. On this auspicious time of the year, we are here to design an E- CHRISTMAS CARD for you. … indeed, it will be designed exclusively for you…with your own photo and caption ! Please Choose one from A,B,C or D and replay to us with your PHOTO and the Captions to print on it. 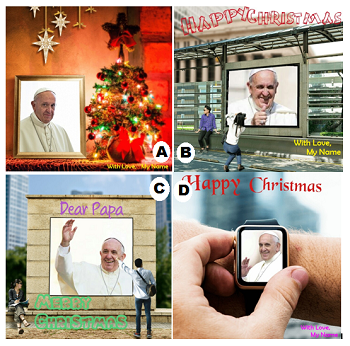 We will re-design one with your own Photo … that, you can send to your loved ones on this Christmas. താങ്കളുടെ ഒരു ഫോട്ടോ ഇന്ന് തന്നെ (or before 5 .00 pm Sunday the 23rd ) അയച്ചു തന്നാൽ ഇതിൽ നിന്നും താങ്കൾ select ചെയ്യുന്ന ഏതെങ്കിലും ഒരു e-card ൽ താങ്കളുടെ ഫോട്ടോ edit ചെയ്തു തരുന്നതാണ്. Its absolutely F R E E for you. If you wish to have one, reply within 24 hours, please. With deep sorrow, we inform you the sad demise of our beloved Fr.Essow Yohannan. His funeral mass will be held on 9th of September, Friday ,at 4p.m. 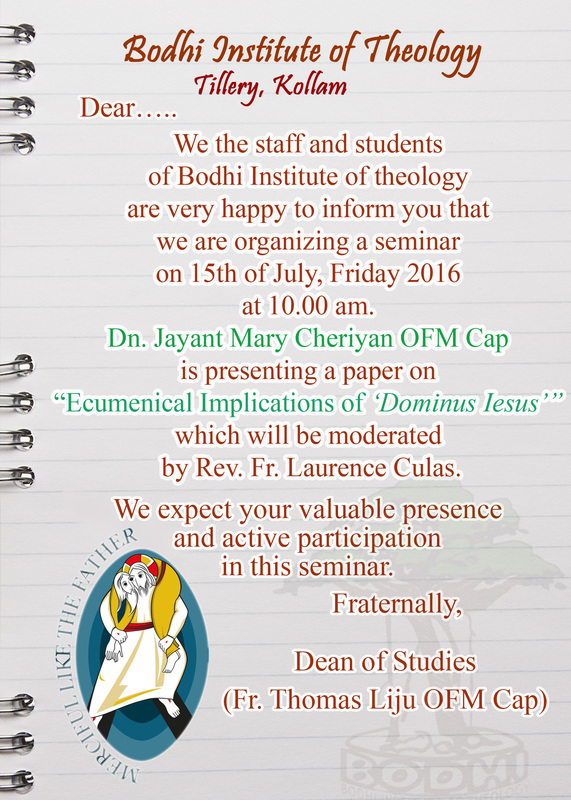 We, the Rector, Staff and students of Bodhi Institute of Theology, invite you for the Seminar Presentation on the 15th of July, Friday,2016 . Please see the attachment. We. 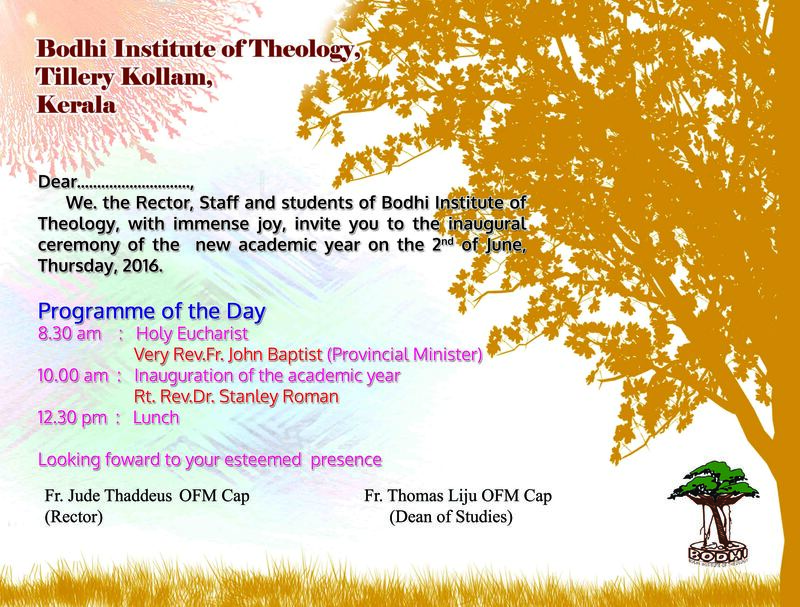 the Rector, Staff and students of Bodhi Institute of Theology, with immense joy, invite you to the inaugural ceremony of the new academic year on the 2nd of June, Thursday, 2016. Greetings from Bodhi Institute of Theology. 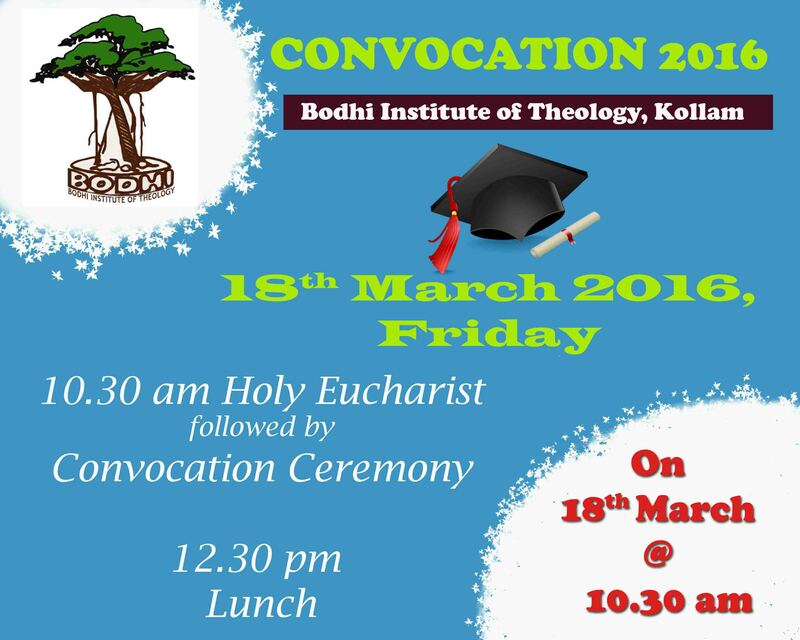 We are planning to conduct the closing of the academic year (2015-16) and the Convocation Ceremony on 18th of March 2016, Friday at 10 30 am. We solicit and look forward to your esteemed presence and prayers.